The researchers engaged in cooperative inquiry in order to explore screencasts as online instructional tools. In total, each researcher analyzed 37 screencasts, which provided over two hours of instruction. The content area of these screencasts concentrated on teaching specific computing procedures (e.g., how to install web server software or how to add a table in a word processor). The researchers analyzed their own self-produced screencasts as well as those that were professionally produced. Analyses of the screencasts led the researchers to discover common structural components (i.e., bumpers, screen movement, and narration) and common instructional strategies (i.e., provide overview, describe procedure, present concept, focus attention, and elaborate content). By synthesizing the common structure and common instructional strategies, the researchers offer a framework for considering the role of screencasts as online instructional tools. To introduce a practical application of the framework, the researchers created a screencasting checklist, which may be used by online instructors and instructional designers to develop and assess their own screencasts. This initial work invites additional research and development in order to refine the screencasting framework and checklist. Sugar, W., Brown, A. & Luterbach, K. (2010). Examining the anatomy of a screencast: Uncovering common elements and instructional strategies. 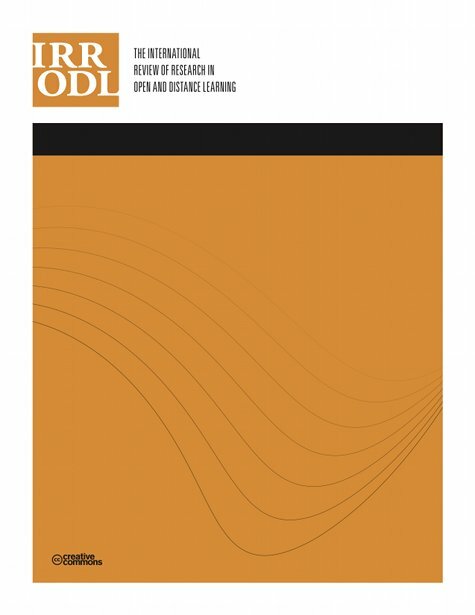 The International Review of Research in Open and Distributed Learning, 11 (3), 1-20. Athabasca University Press. Retrieved April 22, 2019 from https://www.learntechlib.org/p/49134/. Betty, P. (2008). Creation, management, and assessment of library screencasts: The Regis Libraries animated tutorials project. Journal of Library Administration, 48(3/4), 295–315. Ellington, A.J., & Hardin, J.R. (2008). The use of video tutorials in a mathematical modeling course. Mathematics and Computer Education, 42(2), 109–117. Heron, J. (1996). Co-operative inquiry: Research into the human condition. London: Sage Publications. Jenkins-Brown, A.R. (2008). Casting a wider net: Using screencast tutorials to advance library involvement in supporting research practices. Presented at the Joint Meeting of The Geological Society of America, Soil Science Society of America, American Society of Agronomy, Crop Science Society of America, Gulf Coast Association of Geological Societies with the Gulf Coast Section of SEPM. Houston, TX. Lee, M.J.W., Pradhan, S., & Dalgarno, B. (2008). The effectiveness of screencasts and cognitive tools as scaffolding for novice object-oriented programmers. Journal of Information Technology Education, 7, 61–80. Sweller, J. (1988). Cognitive load during problem solving: Effects on learning. Cognitive Science, 12(2), 257–285. Traphagan, T., Kucsera, J.V., & Kishi, K. (2010). Impact of class lecture webcasting on attendance and learning. Educational Technology Research& Development, 58(1), 19– 37. Udell,J.(2005). What is screencasting? Retrieved http://digitalmedia.oreilly.com/pub/a/oreilly/digitalmedia/2005/11/16/what-isscreencasting.html?page=2#heading2. Wouters, P., Paas, F. & Van Merrienboer, J.G. (2008). How to optimize learning from animated models: A review of guidelines based on cognitive load. Review of Educational Research 78(3), 645–675.